…BUT, I find it incredibly tedious to paint or dye a few dozen real eggs (not to mention trying to make enough egg salad to use all of them afterwards) and I really dislike the way the plastic ones tend to be too bright or borderline tacky. So, I decided to grab some craft glue and every color loose glitter I had and- VOILA! – a touch of flair was added to those tired, store bought eggs. 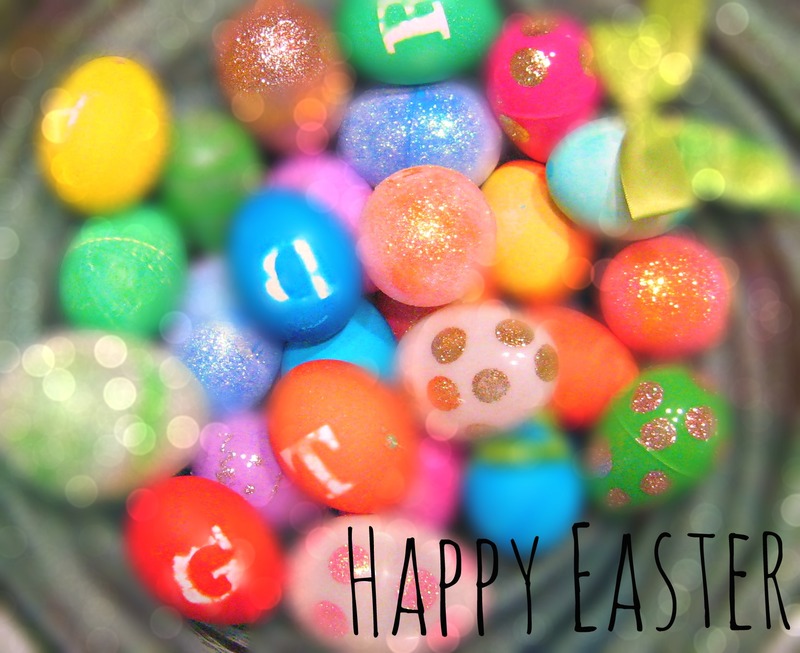 Let your whimsy take over, grab those eggs and add some sparkle to your Easter centerpiece!